How do I view all of my investment accounts in online banking? How do I add funds to VirtualWealth accounts? 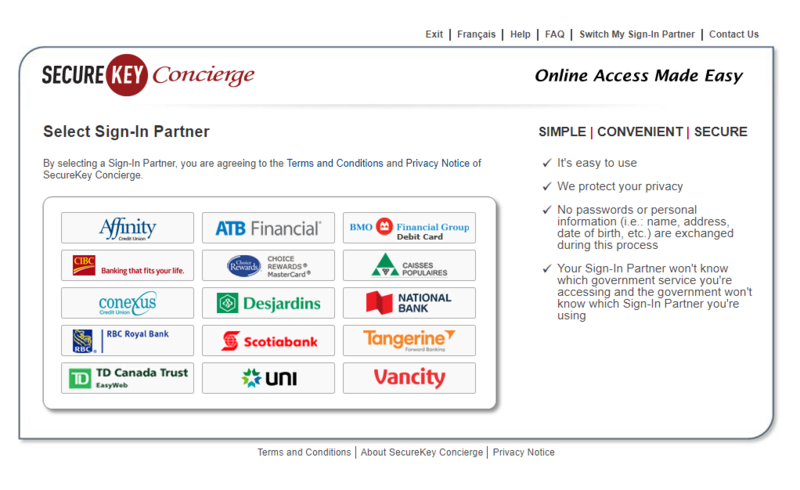 How do I change my Sign-In Partner to Vancity for CRA or other government websites? How do I log in to my Canada Revenue Agency (CRA) Account using my Vancity login credentials? How do I update the Vancity mobile app? How is Vancity doing with all the issues and bugs related to the new system? I didn’t receive the verification email when trying to add my card to the Apple Wallet app. What should I do? What if I hold multiple membership shares accounts? How do I “Request Money” through INTERAC e-Transfer®? I see an error with my online banking transaction. What do I do? How do I find RRSP, TFSA or RRIF contract numbers? Vancity is now a Sign-In Partner with the SecureKey Concierge Service™. That means that Vancity members who already have login credentials for personal online banking (MEMBER CARD # and PAC #), can use the same login credentials to sign in and access more than 80 Government of Canada websites . When you first log in with your Vancity online banking login credentials you will only have limited access to your account. For full access, you will need to enter a security code that will be sent to you by mail or email as part of the sign up process. You can continue to use your existing CRA credential for full access. Open the CRA My Account page. Choose ‘Option 1 – Using one of our Sign-In Partners’ by clicking on the blue Sign-In Partner Login/Register button. On the next page, click on the Vancity logo to take you to the Vancity login page. You will be asked to agree to the Terms and Conditions of Use and Privacy Notice for the SecureKey service titled the “Credential Brokerage Service End User Agreement”. You may be asked to answer one of the security questions you chose when you originally set up your Vancity login credentials for online banking. You’ll return to the CRA site and will be asked to enter your Social Insurance Number (SIN), date of birth, postal code and an amount from a line on your last tax return. Once you successfully answer these questions, you’ll have limited access to your CRA account. For full access to your CRA account, you’ll need to request to have a security code sent to you by mail or email. The email option will require a call to the CRA to verify your identity. Once you enter that security code on the CRA My Account page, you’ll have access to your full account every time you log in with your Vancity credentials. If I use the Sign-in Partner login service, will I still be able to use my CRA credential? Yes. You can still use your CRA credential as well as your Vancity login credentials. 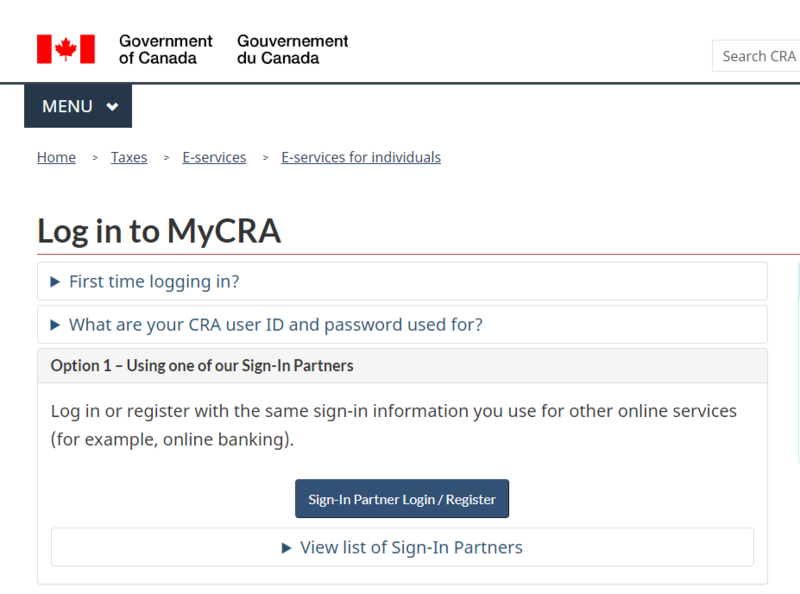 For more information, you can view the CRA’s frequently asked questions about Sign-In Partner login service here. Do you still need help?